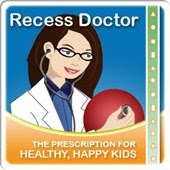 Peaceful Playgrounds | Recess Doctor Blog: A child's view of "healthy diet"
A child's view of "healthy diet"
A new report asked children what a healthy diet is, and they responded "One in which you do not gain weight." Rather than a diet that gives you all the nutrients, vitamins and minerals you need to grow and develop. They also interviewed children as young as four. The research indicates that children can be strongly prejudiced against overweight people. Children had little sympathy for people who are overweight. Their perception was that these people are lazy and responsible for their condition. The kids said that weight and size was how they determined a healthy person. They determined that the unhealthy effects of eating bad shows only externally (fat, skin issues, bad teeth), the children didn't consider internal consequences. The report also found that while children were well able to recognize healthy foods from unhealthy foods, when they were given the option of a nutritious lunch or a meal with a high sugar content, they tended to opt for the unhealthier option. 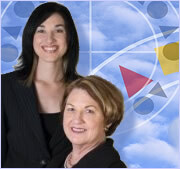 Nutrition training changes eating habits of preschoolers.